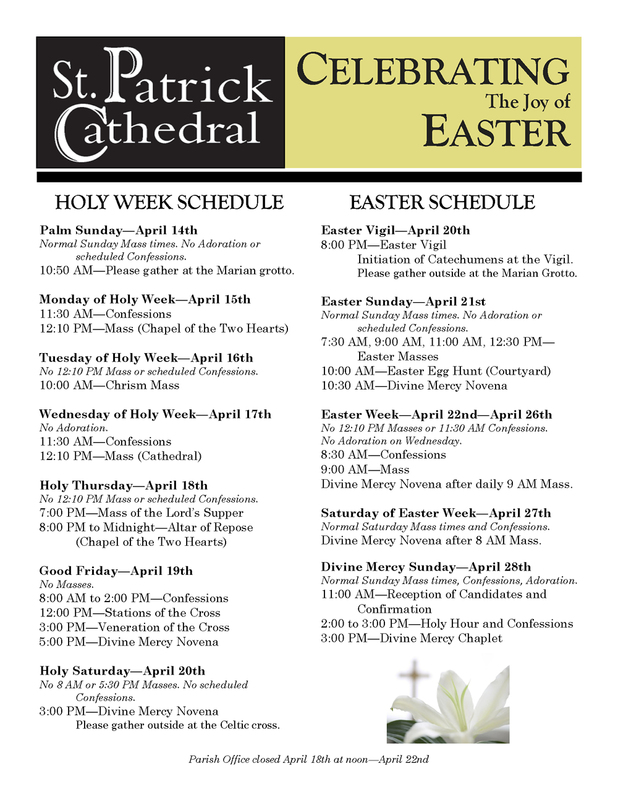 Click here to view our Holy Week and Easter schedule. Have you been away from the Sacrament of Penance for a while, or perhaps you're thinking about confessing your sins for the first time? Click here to watch a video produced by Catholics Come Home to help calm your fears and encourage you to seek the healing grace of Penance. 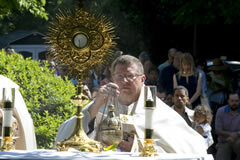 Adoration is held in the Cathedral every Wednesday from 8:00 am to 6:00 pm, and Sunday from 10 am to 11 am. Come spend some time in prayer with the Lord. Located behind the Cathedral, on Buchanan St.
Our children's Easter Egg Hunt will be held in the courtyard on Easter Sunday following the 9 AM Mass. Coffee and donuts will be available for adults. 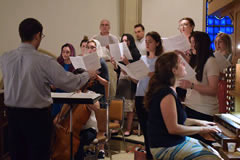 CLICK HERE to watch videos of Cathedral events. 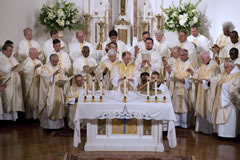 Recent videos include: Diocese of Charlotte Chrism Mass, Fr. Bond's Lenten morning reflection, and our St. Patrick's Day celebration. We will pray the Divine Mercy Chaplet outside by the Celtic Cross at 3 pm on Holy Saturday. The Easter Vigil Mass begins at sunset outside near the Easter fire. Our RCIA catechumens will be received into the Catholic Church at this Mass.